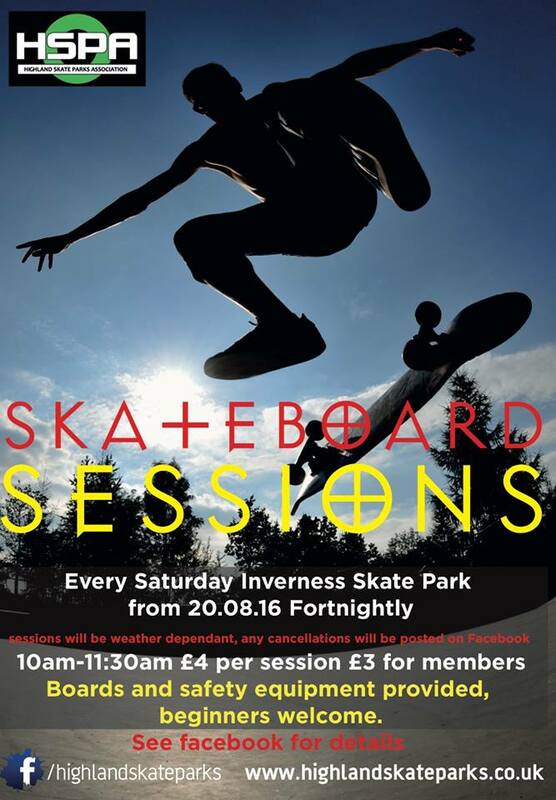 Our skateboard sessions are now at The Inverness Skate Park!! These sessions will run fortnightly starting from Saturday 20th August 2016, 10.00am-11.30am. £4 per session £3 if you are a member of HSPA. Boards and safety equipment provided, all ages and levels of experience welcome!